I would be lying if I said that having our 6 month anniversary on Valentine's Day didn't somewhat factor into choosing our wedding date. The 6 months since we were in Italy with our friends and family, feeling more love than I've ever felt, have flown by. 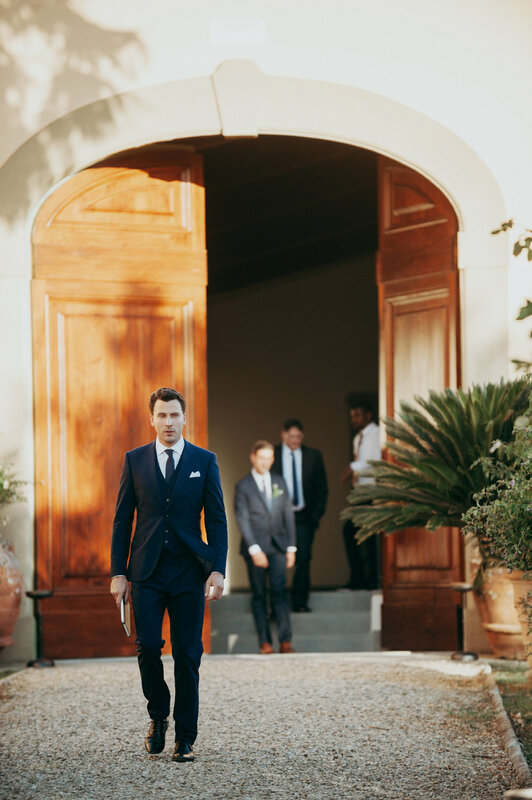 Today I'm sharing the final piece of My Destination Wedding series. We chose to get married in the back of our villa on the steps. We decorated the stairs with tall candles, Italian ruscus, and olive branches. I remember walking down he aisle and walking up to the stairs, I couldn't believe how romantic it looked and how peaceful it felt. Our dear friend Stephen performed the most beautiful ceremony for us. He put so much care into both the words and the content, I couldn't have imagined a more perfect or fitting ceremony for Dave and I. Some of Stephen's words had me crying just as much as Dave's. We both had our parents walk us down the aisle. I was so overcome with emotion as I was walking that I started to full on ugly cry. My mom started pinching my bum and snapped me out of it. Dave also got a little emotional when we saw each other for the first time. We had planned to do a first look, but since I was running so late we skipped it, and I am glad we did. It was a lot of fun to not see each other until I was walking down the aisle. Dave and I wrote our own vows. We decided on a format, but kept the rest a secret. Both were equal parts serious and funny and had me crying one minute and laughing the next. After the ceremony Dave and I took a minute alone to have a glass of wine and enjoy our first few minutes together as a married couple. We brought a bottle of Contadino with us, a wine we first discovered at The Four Horsemen in Williamsburg, owned by James Murphy of LCD Sound System. As we were waiting in the security line at JFK airport, James Murphy happened to be behind us, we told me about the wine and how we were planning to drink it. He was so lovely and it felt like a good omen for the start of our trip. After taking photos together, we rejoined our guests on the terrace for an apertivo. Another memory I will never forget is walking down from the terrace into the backyard for dinner. The sun had just began to set and lights were perfectly illuminating our gorgeous dinner table. Sitting at a gorgeous table, watching the sunset set over the tuscan landscape while dining on my favorite Italian foods and drinking delicious wine with dear friends and family, is something I hope to do again in this life. After dinner we moved inside and cut our cake. We chose carrot (our favorite). We chose "As" by Steve Wonder for our first dance song. If you aren't familiar, give it a listen, it's such a beautiful long song about long lasting love. 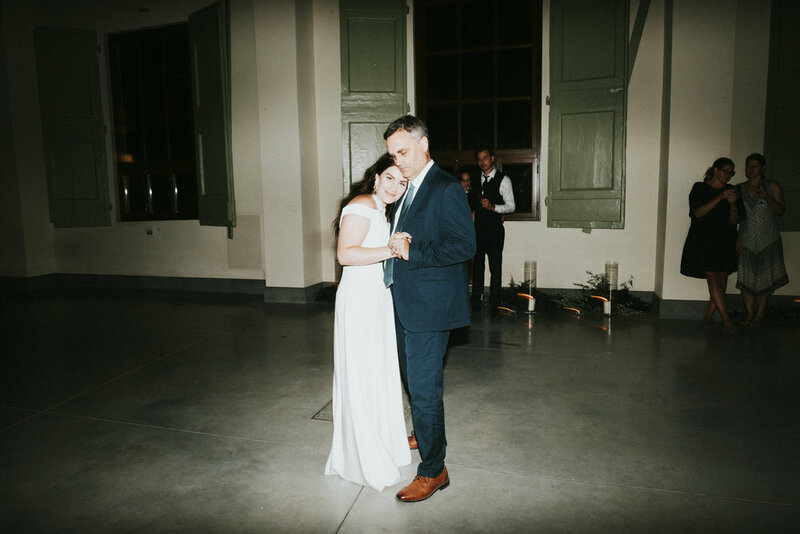 Even though I got married at 30, I'm a forever Daddy's girl and had to dance with him. He surprised me and chose a song by Michael Franks that I have loved hearing him play since I was in car seat. We spent the rest of the night dancing and partying with our friends until the sun came up. The whole weekend was the most magical experience of my life, and I am so lucky to have such amazing friends, family, and a new husband to have shared it with. Thursday marked one month since Dave and I said our vows in front of 34 family members and friends in the tuscan countryside. We couldn't think of a better way to celebrate than to open a bottle of Italian wine and going through our wedding photos and video footage.